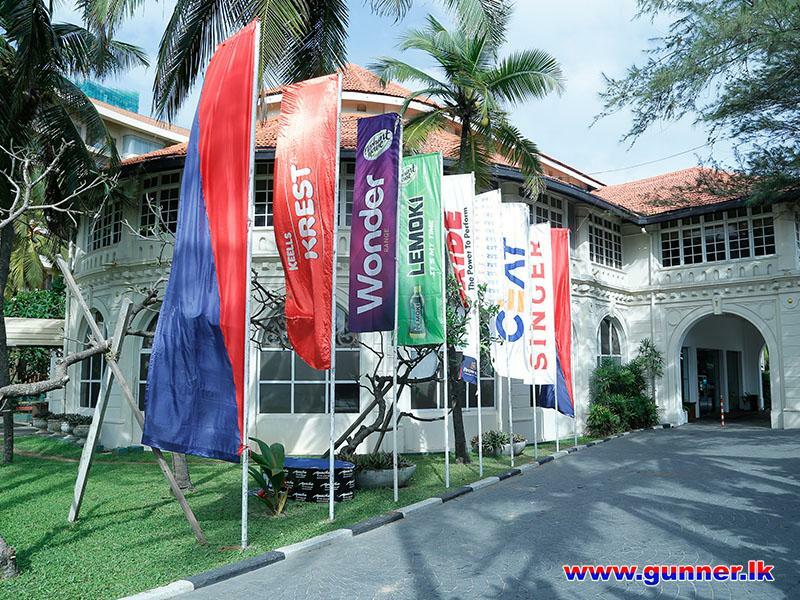 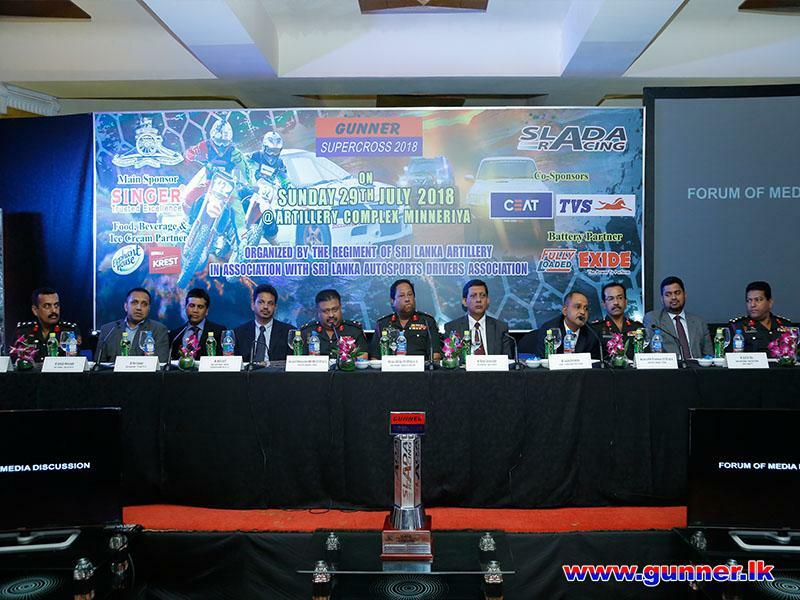 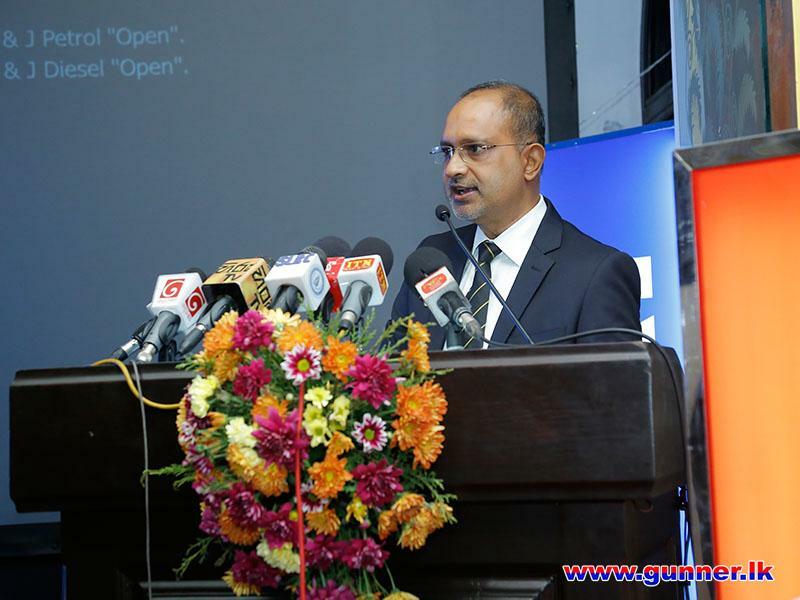 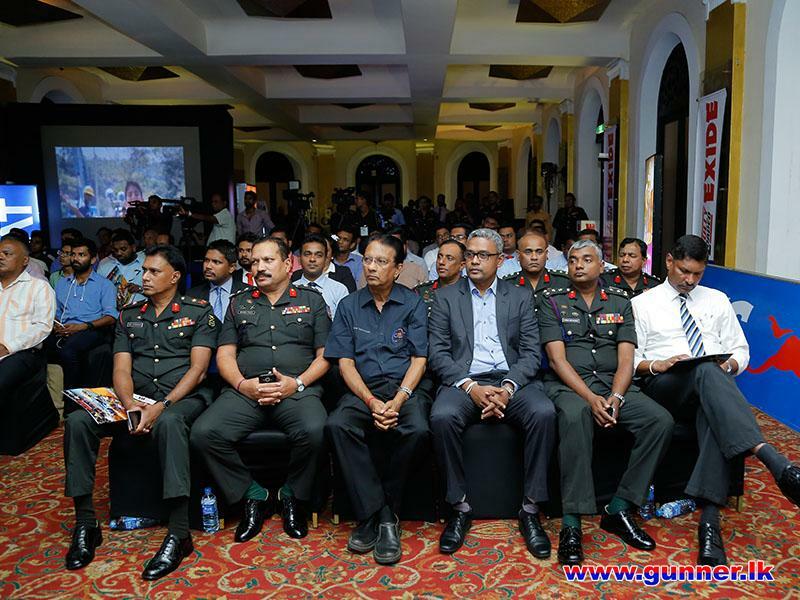 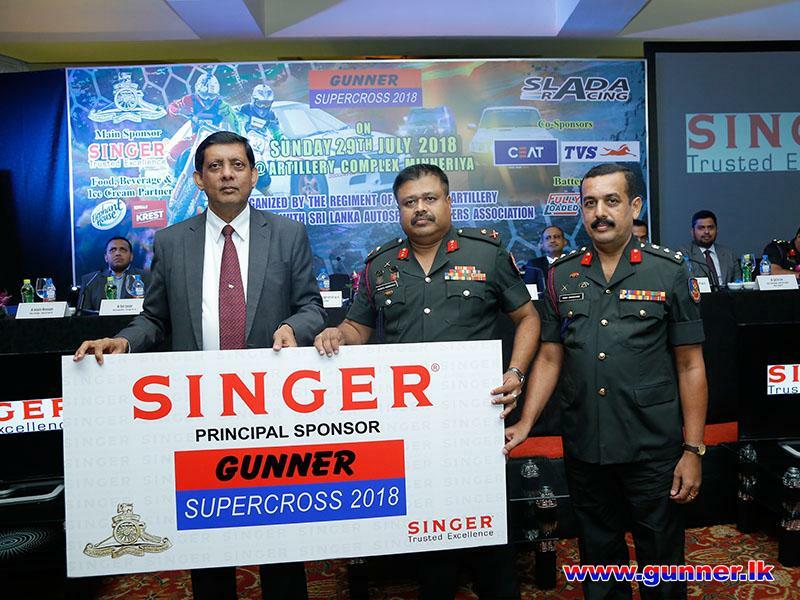 Media briefing of Gunner Supercross - 2018 was held on 28th June 2018 at the Crystal Ballroom, Taj Samudra Hotel, Colombo - 03 at 1800 hrs with the participation of a large number of print and electronic media personnel and representatives of key sponsors for the event. 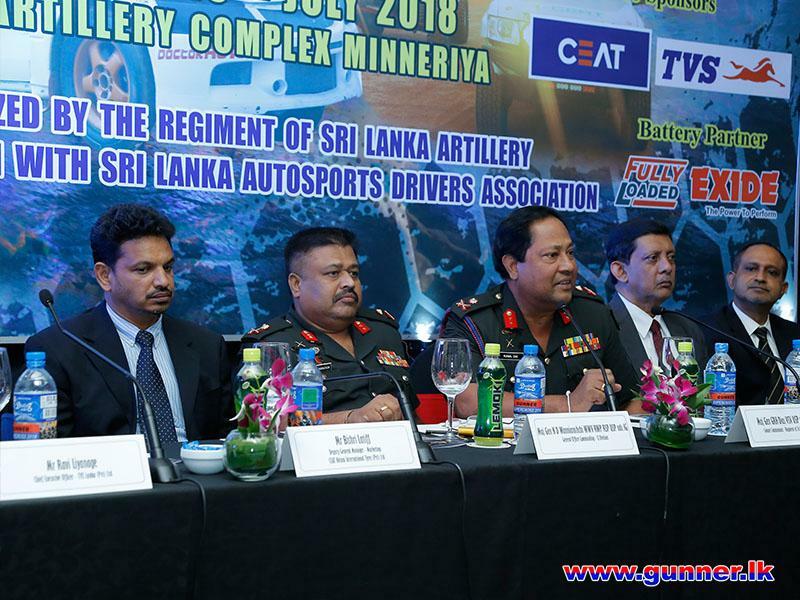 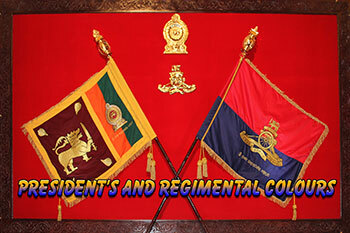 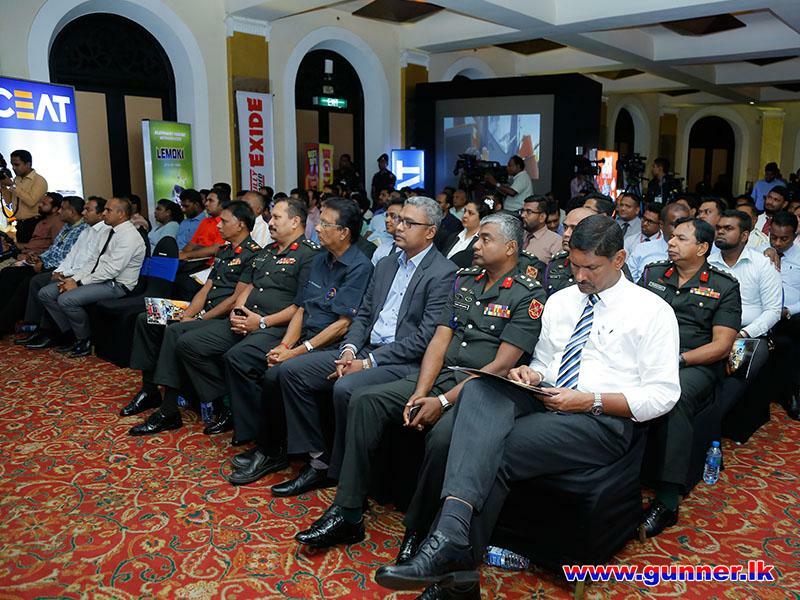 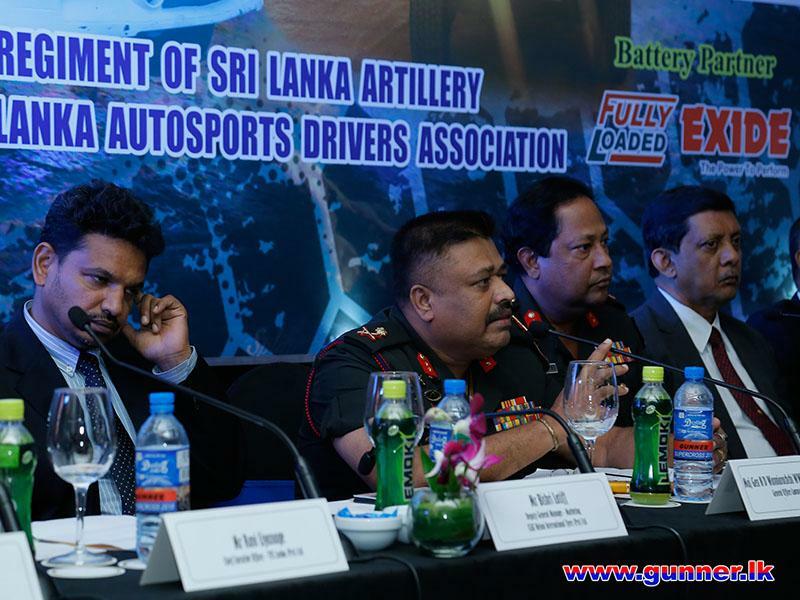 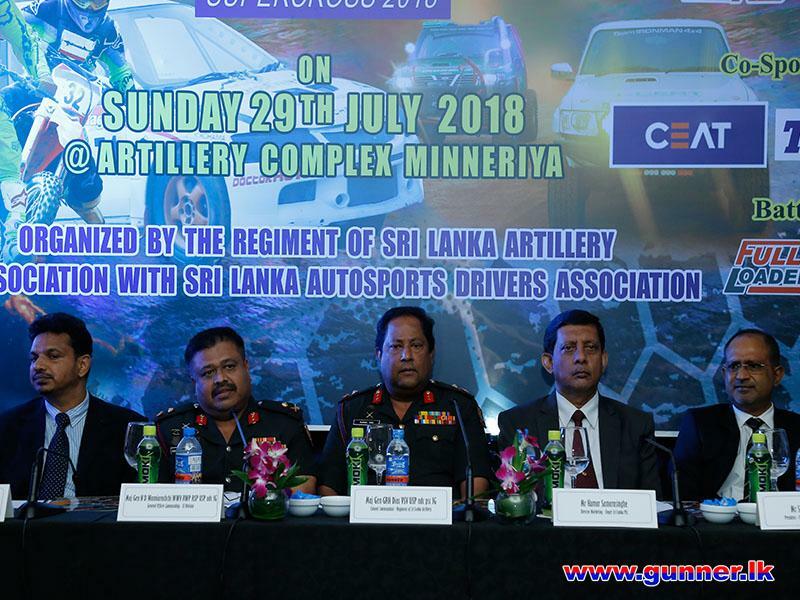 The media conference was presided by Major General Rukmal Dias - Colonel Commandant of Regiment of Artillery and Major General Nishantha Wanniarachchi conducted presentation whilst Mr Sanjaya Kariyawansa - President of Sri Lanka Autosports Drivers Association (SLADA), Mr Kumar Samarasinghe - Director Marketing Singer Sri Lanka PLC, Mr Ravi Liyanage - Chief Executive Officer TVS Lanka (Pvt )Ltd, Mr Ajith De Silva Deputy - General Manager, Browns Battery Division, Brown & Company PLC addressing the gathering. 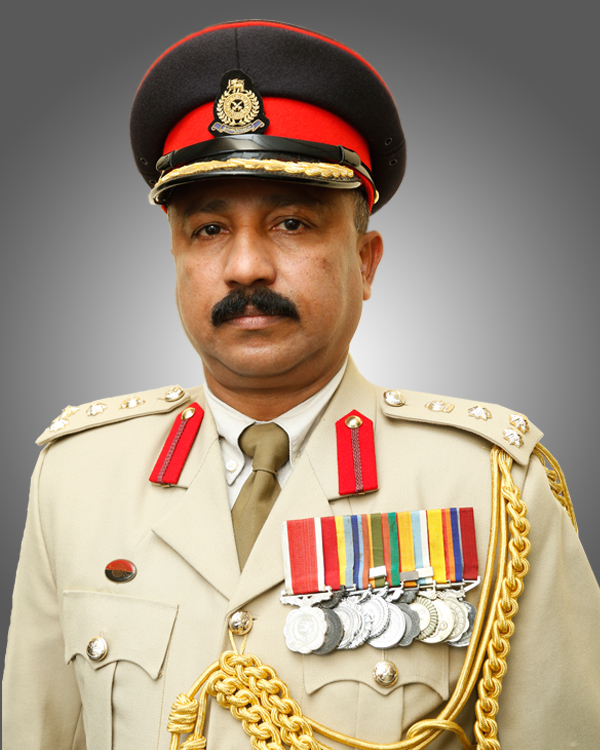 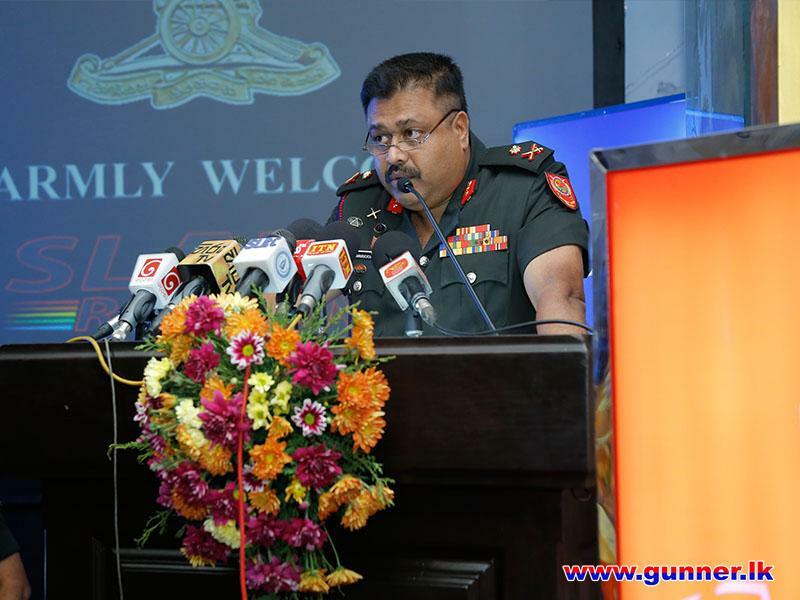 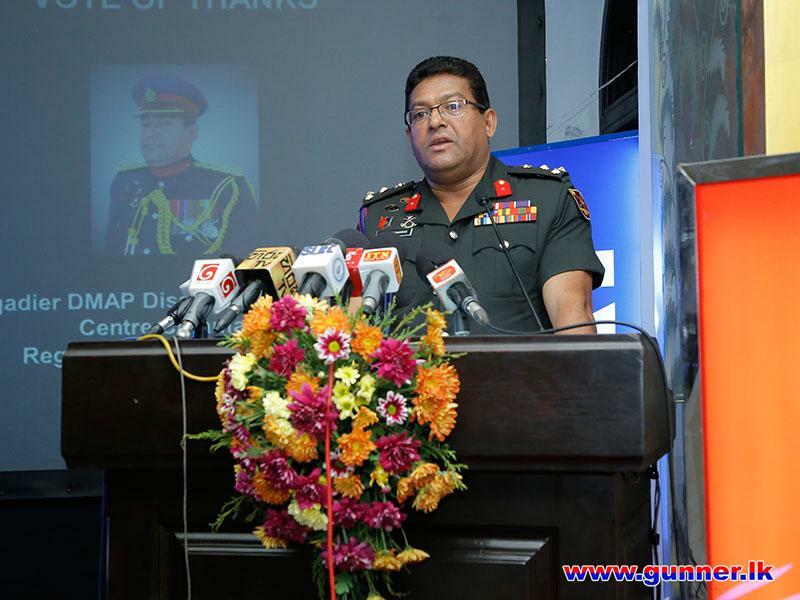 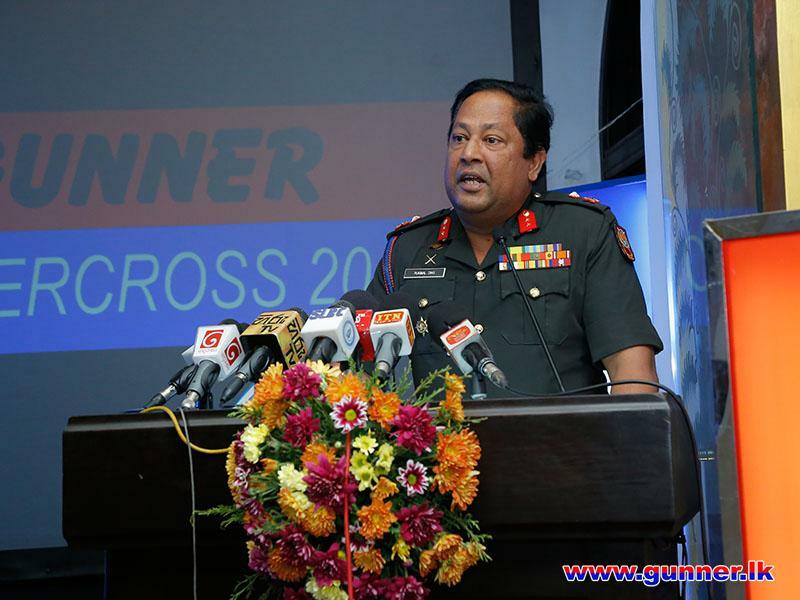 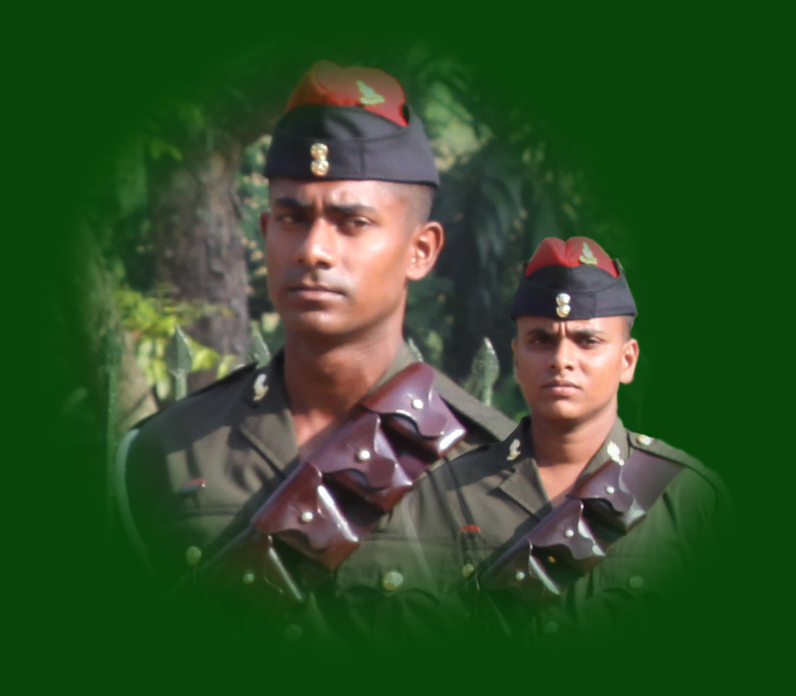 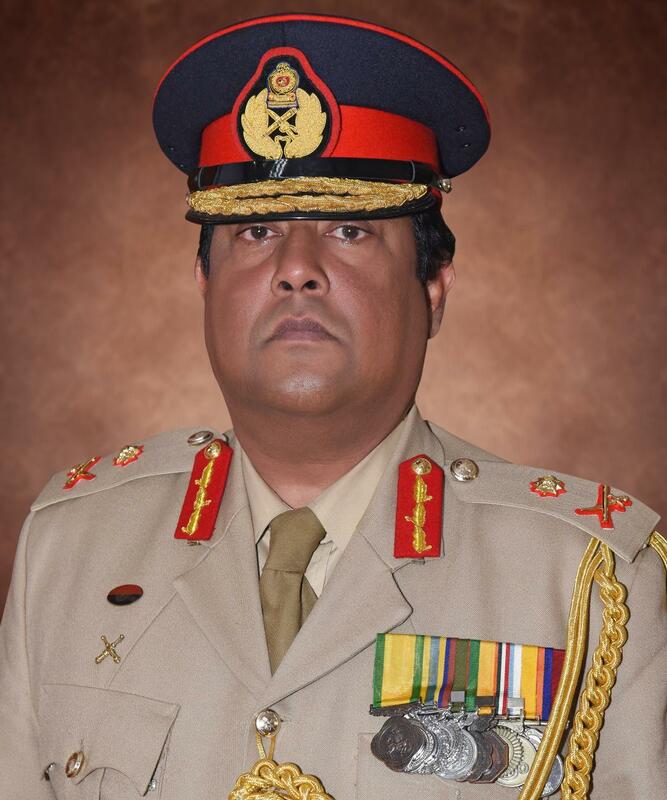 Major General Rukmal Dias addressing to media said that the Gunner Supercross which organized to create a source of sustainable income for welfare projects within the regiment, particularly supporting for the needed families of fallen war heroes and to uplift the living standards of serving men in the regiment. 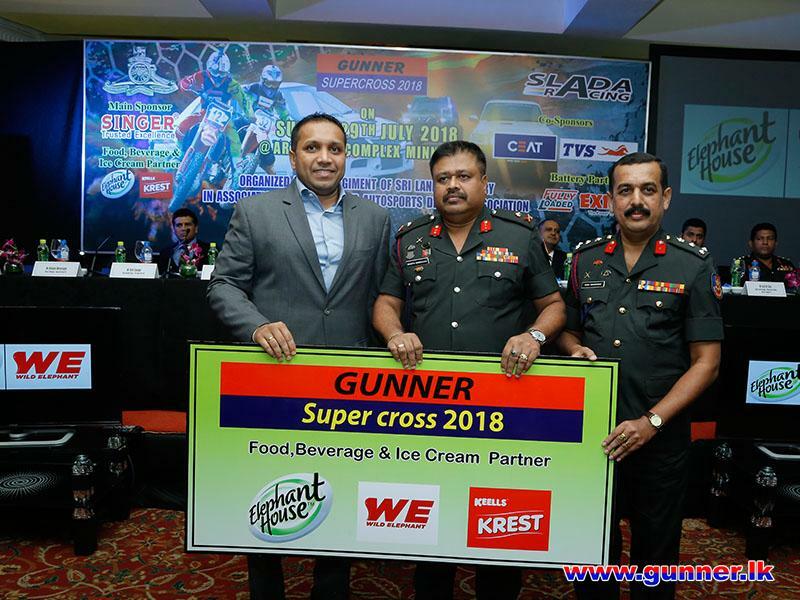 Colonel Commandant expressed his sincere thanks and appreciation all media personal, sponsors, SLADA team and all others on their commitment on Gunner Supercross 2018. 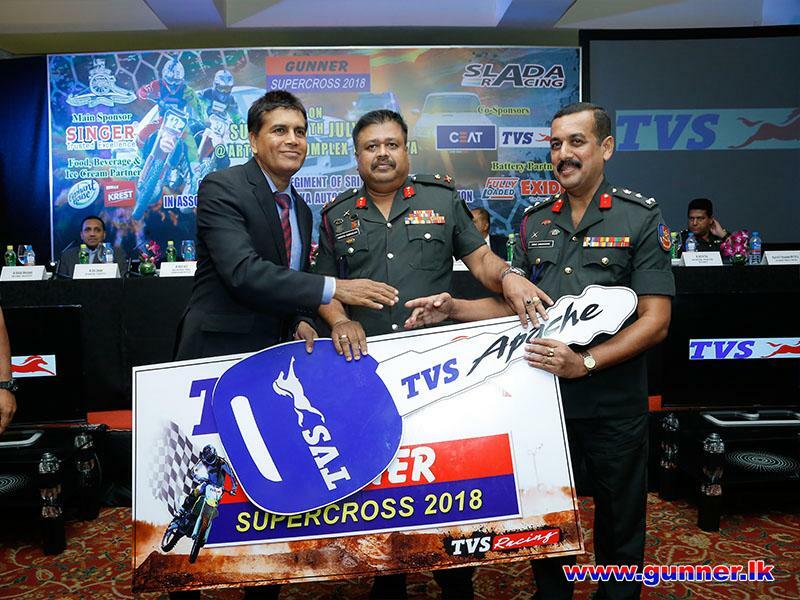 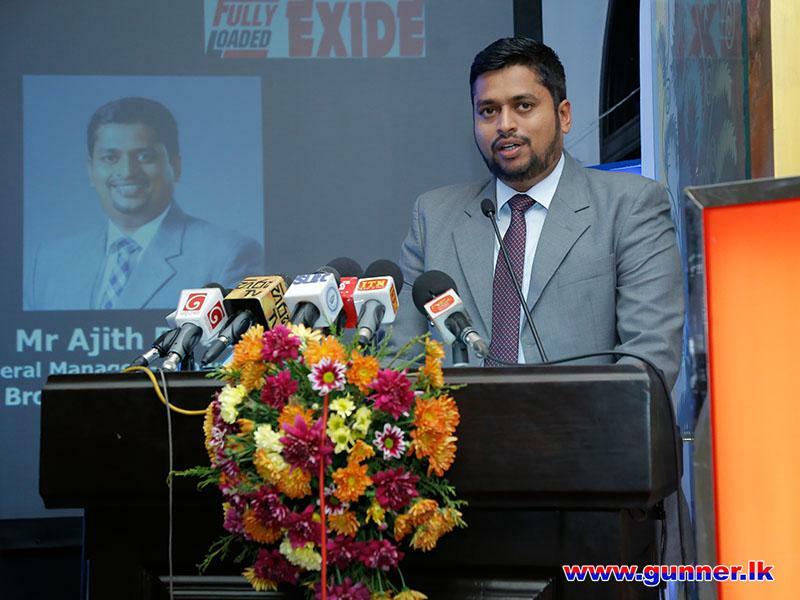 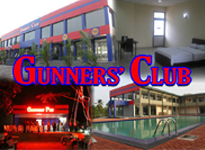 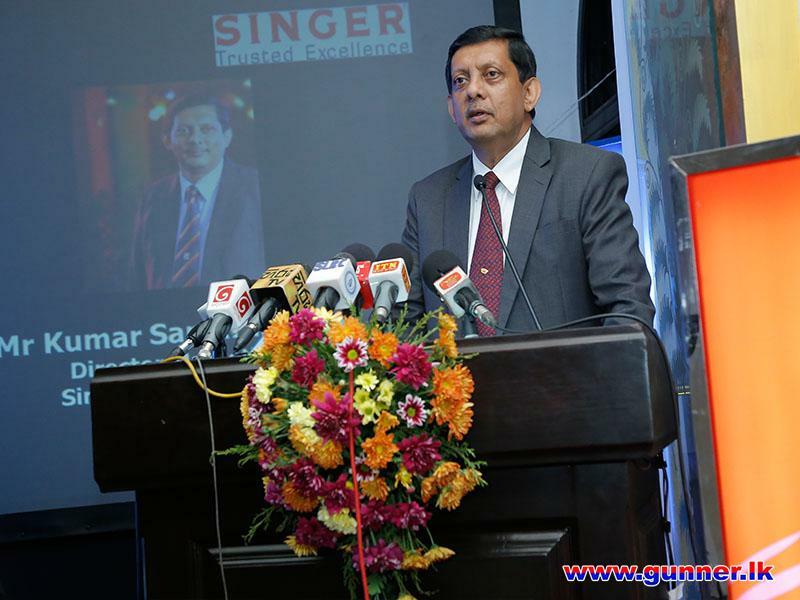 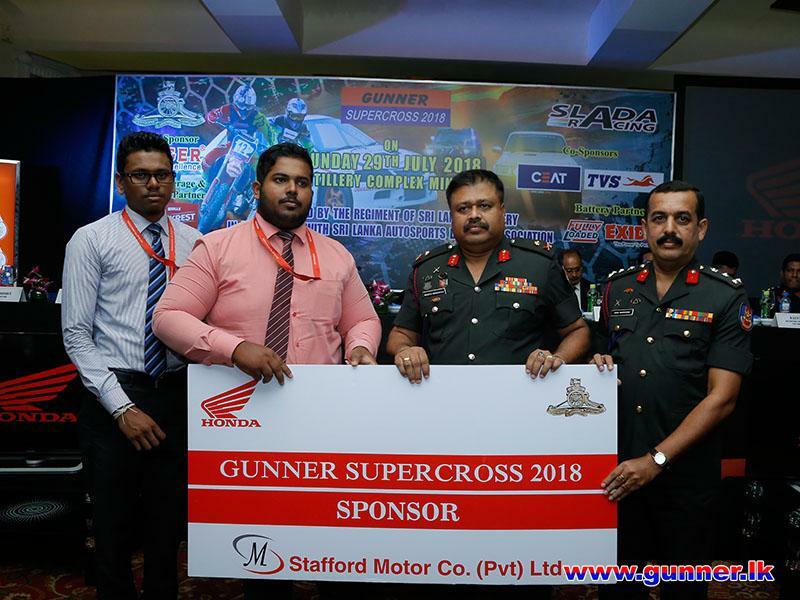 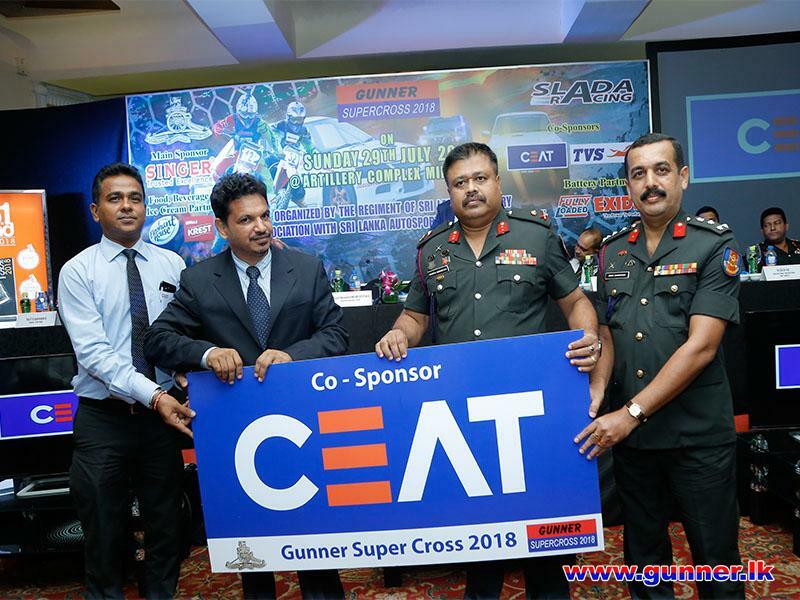 Singer Sri Lanka PLC joins in hands with Gunner Supercross as the Main Sponsor of this year too and CEAT Kelani International Tyre (Pvt) Ltd continues as a Co-sponsor. 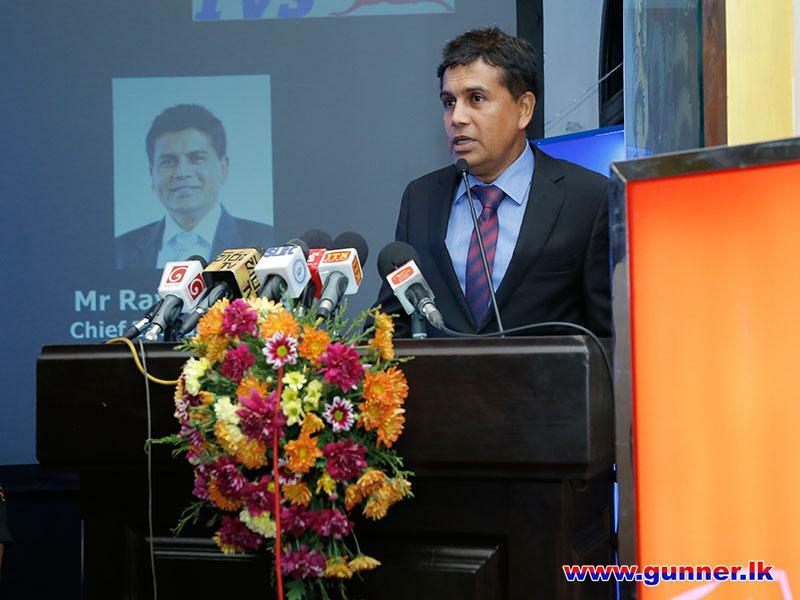 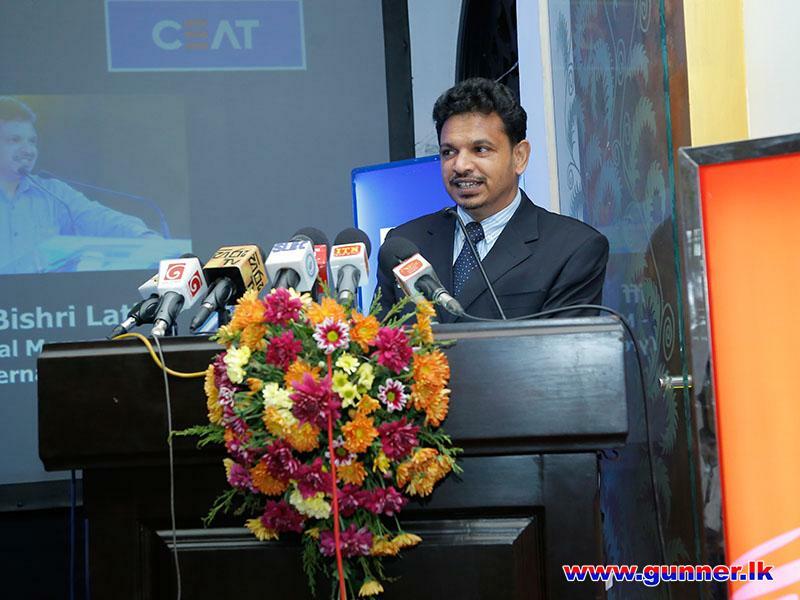 TVS Lanka (Pvt) Ltd also join in hands as a Co-Sponsor. 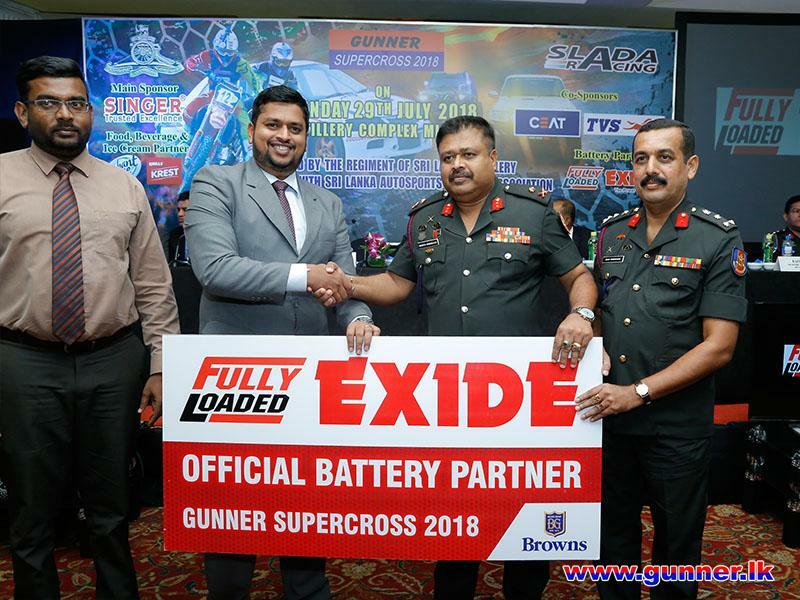 Brown & Company PLC remains as the Official Battery Partner for eight consecutive years and John Keells Holdings steps in as the Food, Beverages and Ice cream Partner, Ceylon Cold Stores PLC and Stafford Motor Company (Pvt) Ltd have become special sponsors for this year Supercross.